THIS JUST IN... as promised, Coachella made the big mystery announcement they teased on Friday with an intentionally vague Tweet and Instagram prompting us all to wait with baited breath for some big news at 10am PST Monday morning. And, as we surmised, the big announcement revealed the Coachella 2013 dates (held over two weekends), and that ticket presale, or "Advance Sale" in their words, will begin this week. Keep reading for all the details and what all of this ridiculously premature information (dude, seriously, Coachella 2012 ended literally three weeks ago...) means for you. 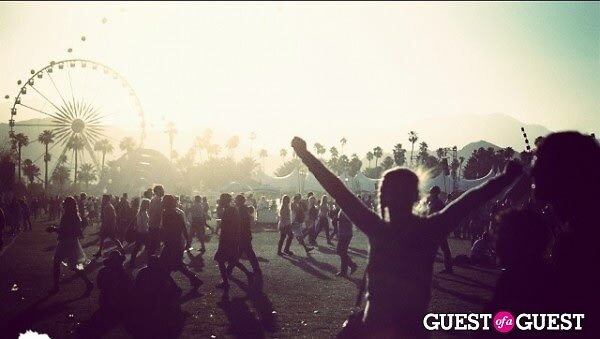 Coachella 2013 will be held over two weekends: April 12-14 for Weekend 1, April 19-21 for Weekend 2. Advance passes/tickets AKA presale to Coachella 2013 will go on sale THIS THURSDAY, May 17, 2012 at 10am PST through the following Thursday, May 24, 2012 at 10pm PST. Advance Sale is your one chance to take advantage of the Coachella Purchase Plan, a new feature that means the price you see is what you'll pay (no additional shipping fees, etc.). General sale of Coachella 2013 tickets will happen early next year. If for some reason you find yourself in a place without any clocks, the Coachella website has kindly provided a giant ticker countdown to the minute to when Advance Sale begins.